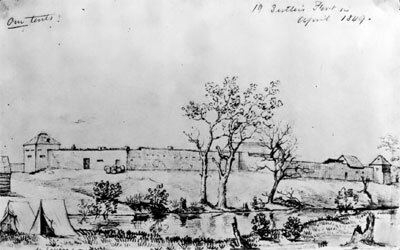 Sutter's Fort was the most strategically located site in Northern California in the 1840s. It was towards this point that most of the immigrant trails converged, either coming south from Oregon, or after crossing the Sierras going West. Sutter's Fort represented the beginning of civilization, in the minds of the pioneers who had trekked across vast reaches of wilderness in search of their new land. The kindness and hospitality offered at Sutter's Fort by John Sutter is legendary, and in numerous ways, the site played an invaluable role in the American settlement in California. Sutter's Fort began to deteriorate rapidly after 1849, and only a last-minute effort saved what remained in 1889, It was then purchased by the Native Sons of the Golden West in 1890, and restored by the State of California in 1891-93. In 1937 the fort became a part of the State Park System. The original fort was much larger than the reconstructed one we have today. 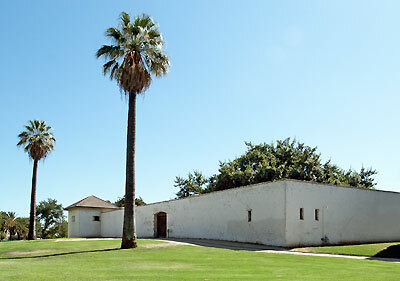 The only remaining original building is the two-story adobe with gable roof at the center of the quadrangle. Adapted from the NRHP nomination submitted in 1966. 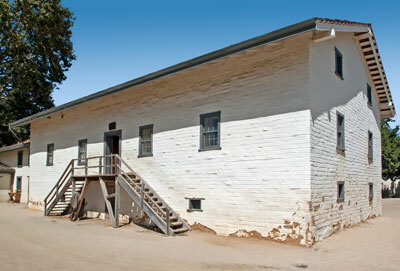 Sutter's Fort is also California Historical Landmark 525.